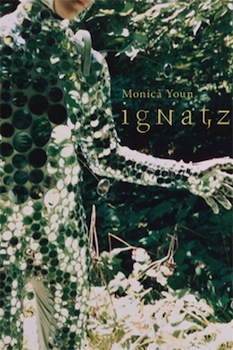 Poet Monica Youn, author of Barter and Ignatz, reads in the New Writing Series on Thursday, April 18, 2013. The event, which is free & open to the public, starts at 4:30pm in Stodder Hall 57 (on the ground floor of the Graduate School). A Q&A will follow the reading. Monica Youn’s poems have appeared in numerous journals and anthologies, including Tin House and in Cue: A Journal of Prose Poetry. Her awards include the Stegner Fellowship at Stanford University and residencies at Yaddo and MacDowell. Her books of poetry include Barter (2003) and Ignatz (2010), a series of poems loosely based on George Herriman’s Krazy Kat comic strip of the 1920s-30s. She works as a media and entertainment lawyer in Manhattan and edited the volume Money, Politics, and the Constitution: Beyond Citizens United (Brennan Center, 2011). 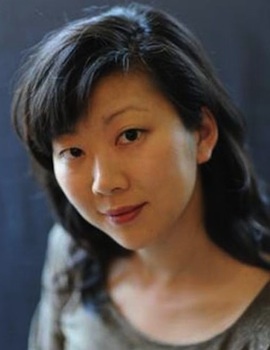 In April 2012, Youn was the “NewsPoet” for National Public Radio’s All Things Considered. Listen to her “Day in Verse” here. Poet Jena Osman, author most recently of Public Figures, will read in the New Writing Series on Thursday, April 11, 2013. The event, which is free and open to the public, starts at 4:30pm in the the Soderberg Center Auditorium (Jenness Hall) on the flagship campus of the University of Maine system in Orono. Jena Osman’s books of poems include Public Figures (Wesleyan University Press, 2012), The Network (Fence Books 2010, selected for the National Poetry Series in 2009), An Essay in Asterisks (Roof Books, 2004) and The Character (Beacon Press, winner of the 1998 Barnard New Women Poets Prize). 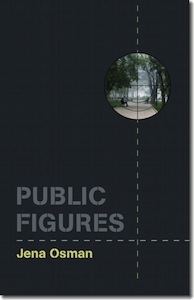 Other publications include Jury (Meow Press), Amblyopia (Avenue B), and Twelve Parts of Her (Burning Deck Press). Osman was a 2006 Pew Fellow in the Arts, and has received grants from the National Endowment for the Arts, the New York Foundation for the Arts, The Pennsylvania Council on the Arts, the Howard Foundation, and the Fund for Poetry. She has been a writing fellow at the MacDowell Colony, the Blue Mountain Center, the Djerassi Foundation, and Chateau de la Napoule. 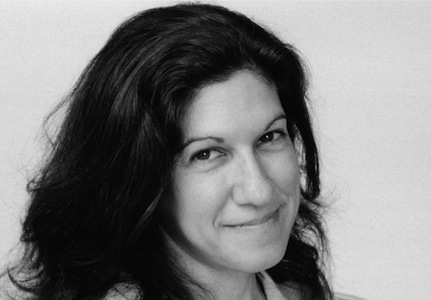 Poets Christina Davis and Anna Moschovakis will read in the New Writing Series on Thursday, April 4, 2013. The event, which is free and open to the public, starts at 4:30pm in the the Arthur Hill Auditorium (Barrows Hall) on the flagship campus of the University of Maine system in Orono. Anna Moschovakis (right) is the author of two books of poetry, You and Three Others Are Approaching a Lake (Coffee House, 2012) and I Have Not Been Able to Get Through to Everyone (Turtle Point, 2006), and the translator of several novels from the French, most recently The Jokers by Albert Cossery. She is a longtime member of the Brooklyn-based publishing collective Ugly Duckling Presse. 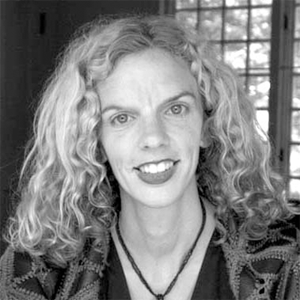 Christina Davis is the author of An Ethic (Nightboat, 2013) and Forth A Raven (Alice James Books, 2006). Her poems have appeared in American Poetry Review, Jubilat, LIT, Pleiades, Paris Review and other publications. She is currently the curator of poetry at the Woodberry Poetry Room, Harvard University. On Saturday, April 6, Moschovakis and Davis will be participating in Bibliopoetics: The Art and Future of the Book, sponsored by the University of Maine Humanities Initiative with help from the National Poetry Foundation. Their panel “Poets on Books: A Reading and Conversation” will also feature George Kalogeris and Jillian Saucier. A full program is available here.